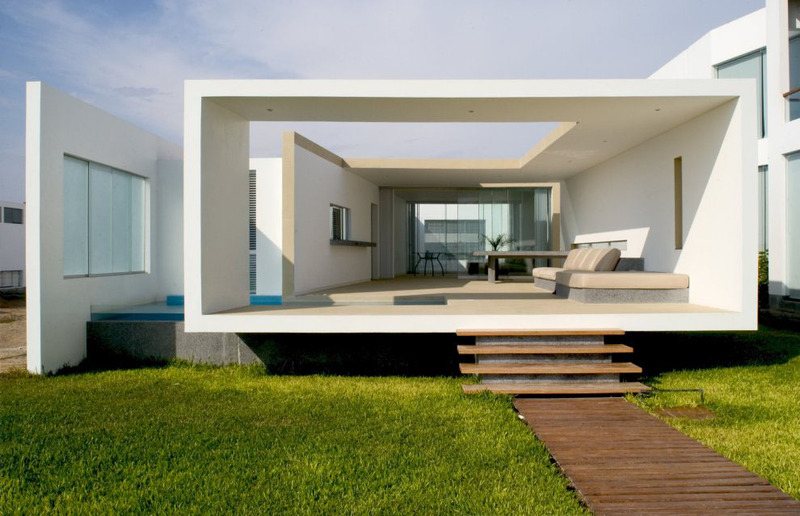 This modern weekend home in Asia, Peru designed by Jorge Marsino Prado was inspired by Le Corbusier’s Maison Domino. 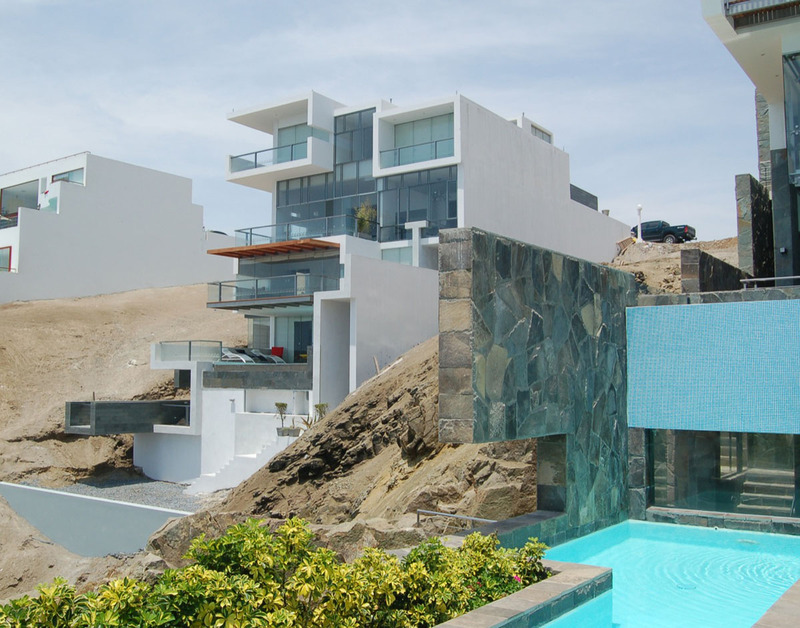 Designed by Longhi Architects, Alvarez Beach House is built into the side of the cliff and has a series of terraces that connect the house with the ocean. 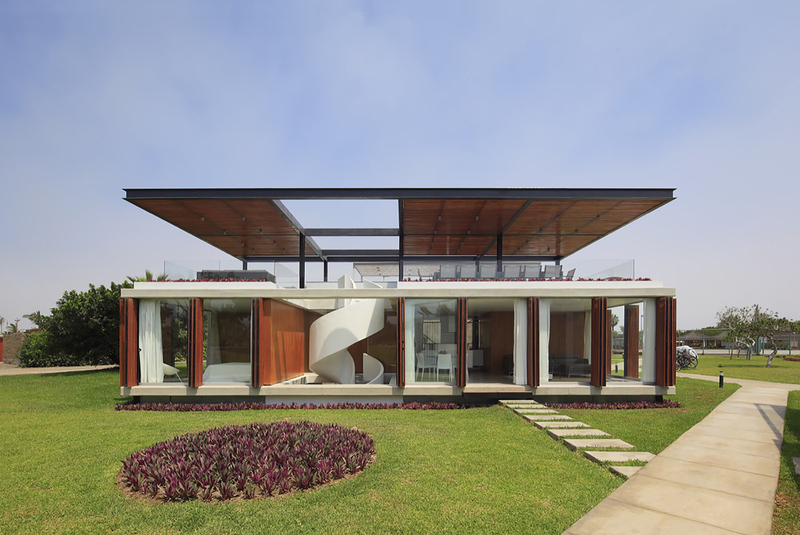 This stunning 5-storey beach house located in a gated community on a cliff of Playa Misterio south of Lima, Peru has 6,200 square foot of living space and a swimming pool on the lower level.